B. Thomas (Arlington, Texas, United States) on 13 May 2018 in Animal & Insect and Portfolio. Giraffe have a storied history at the Abilene Zoo. 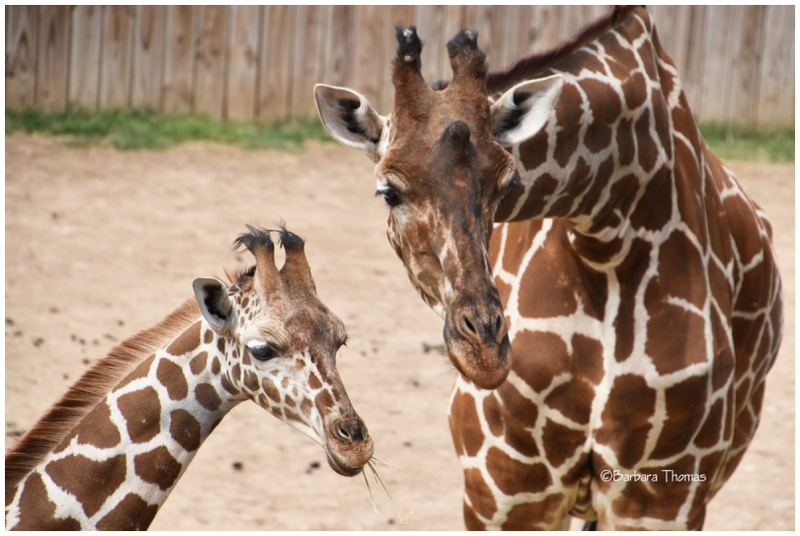 Abilene received its first pair of young giraffe in 1968 thanks to an anonymous donation of $10,000. The mayor declared May 24, 1968, as “G-Day” and cut the ribbon on the “Highneck Bridge.” The community fell in love with the animals. Indeed, the bridge was cutting-edge zoo design in its day — making Abilene one of the first zoos in the nation to let guests interact with the leggy animals. *Just returned from wonderful trip to Jackson Hole, Wyoming and Yellowstone with lots of new photos. Posting in a day or two. What a touching relationship this carries . . lovely. You tell a beautiful story. Personally I don't like to see animals locked in zoos. I also recognize that, at the time, they had a good reason to exist. And, possibly if not for these, some species would have disappeared. I look forward to seeing your trip photos. Have a nice Sunday. A cute contribution to mother's day, and a lovely story to go with it. Looking forward to your Yellowstone pics! Beautiful portraits of mom and baby.